Foundation repair sounds pretty serious, but it is a regular part of any home maintenance. Foundation repair comes up less often than other home repairs so it seems like a bigger deal than it is. However, if you don’t take care of small foundation problems you could face bigger and costlier foundation issues down the road. Let’s take a look at some of the signs that signal it is time for you to look into getting your foundation repaired. If you see cracks on your home’s exterior or on the inside walls you have a foundation issue. Specifically, this is indicative of your foundation settling off balance. 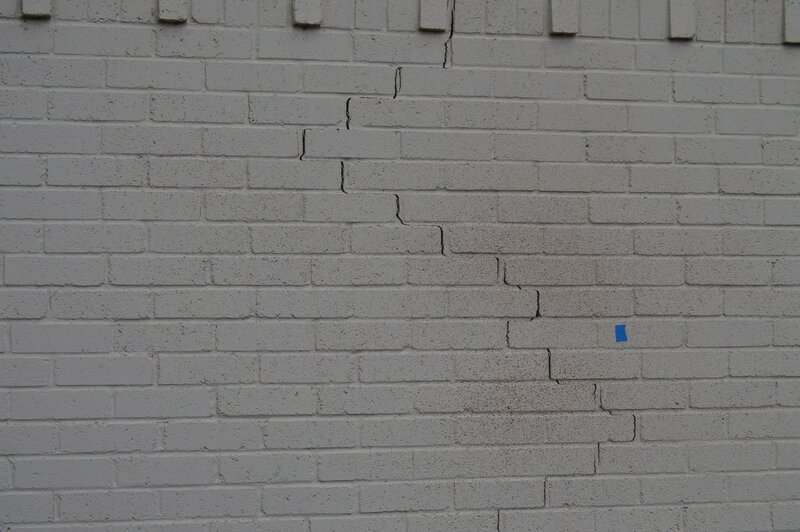 You will see diagonal cracks in your brick exterior or on your drywall inside. This is a problem that can be fixed relatively cheaply, but if left to continue settling in this way it could cost you a lot more. Plus, cracks in your walls is aesthetically displeasing so get it fixed as soon as possible. Have you noticed that your windows and/or doors are sticking a lot more than they used to, or are completely stuck shut? Besides cracks in the walls and on the outside brick, this is one of the most common signs that your foundation is settling wrong. The good news is that it is still early enough to repair your foundation without major cost or production. 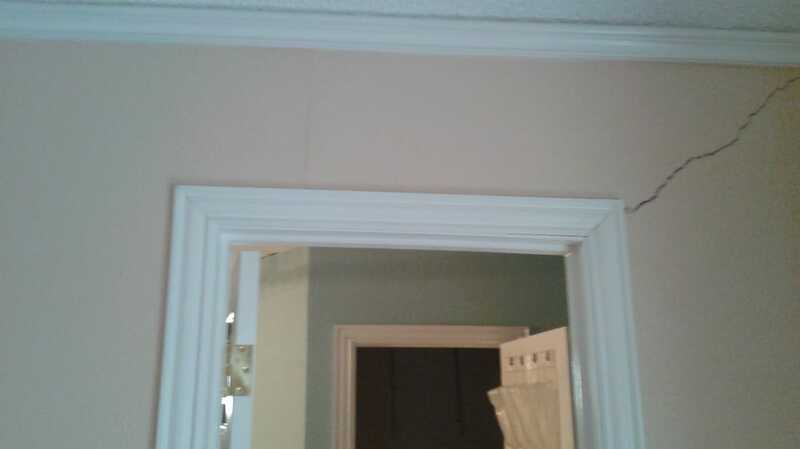 If you notice gaps on your ceiling between the molding and your ceiling or around the caulking of your doors and/or windows, you are more likely than not experiencing a settling or shifting foundation. Luckily, this is a small problem and can be taken care of before it gets out of hand. These are a few common things to look that indicate you are experiencing foundation problems. Don’t wait until it is too late to get repairs. Please contact us if have any foundation concerns or issues in the Dallas/Fort Worth area. 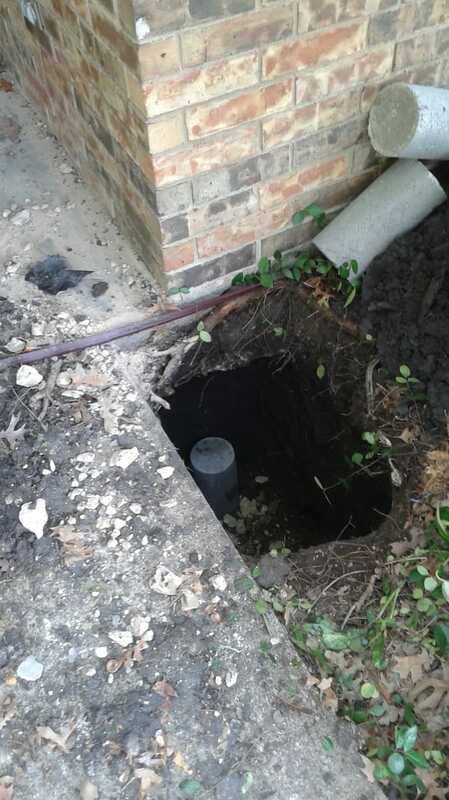 When homeowners suspect that they may have foundation problems, it can be easy to ignore these problems as a home’s foundation is out of sight, and addressing these problems can be costly. However, foundation problems progressively worsen, and if left unfixed they can cause costlier and more complex damage to your home. This makes it important that you do not ignore foundation problems issues. If you believe that your home may have foundation damage, here are just a few of the reasons to have your foundation repaired as soon as possible. As we previously mentioned, foundation problems tend to be progressive. Thusly, the longer you let these problems go unchecked, the worse the damage will become, and the more problems your foundation will cause throughout your home. What might start as inconveniences such as doors and windows sticking will quickly turn into major structural damage such as lifting floors and cracking walls. For this reason, while having your home’s foundation repaired may sound costly and inconvenient, the longer you wait the more expensive and stressful this process will become. Thusly, if you suspect foundation damage in your home, it is in your best interest to have your foundation inspected immediately. Not only will waiting to have your home’s foundation repaired cost you more money, but more expensive repairs also take more time. The longer you wait to have your foundation repaired, the more difficult and time-consuming it will become to restore your home to its original condition. Additionally, large-scale repairs could mean that you and your family may be displaced for a period of time. It is then important to act on foundation problems as soon as you discover them, as waiting even a few days can mean more work. Should you continue to ignore your home’s foundation problems, it can make it difficult to sell your home down the road. Home buyers want to move into a home that will not require extensive structural repairs, which can make your home harder to sell. Additionally, in the event that you do find a buyer, you may get a low offer due to the structural damage. Having your home’s foundation repaired can then help to ensure the value and salability of your home. Contact us to find out more about foundation damage and the importance of having your home’s foundation repaired. Steady House Foundation Repair specializes in slab and pier and beam foundation repair in the Dallas/ Fort Worth, TX area. We can help you out with just a simple foundation level up to the most complex. Our teams are also more than happy to answer any of your questions along the way.